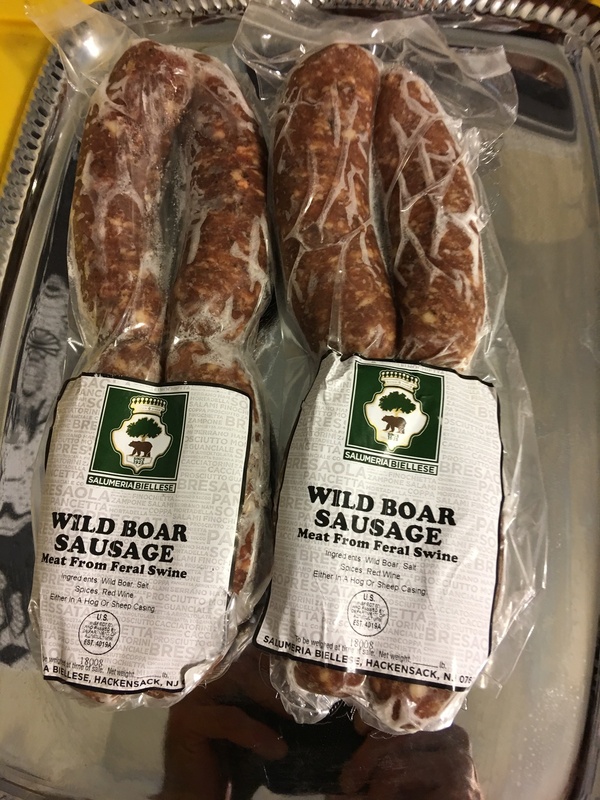 These authentic sausages are produced by one of the top French/Italian charcuterie in the country. Salumeria Biellese has supplied the best restaurants in NYC for decades and now you can enjoy their products in your own home. 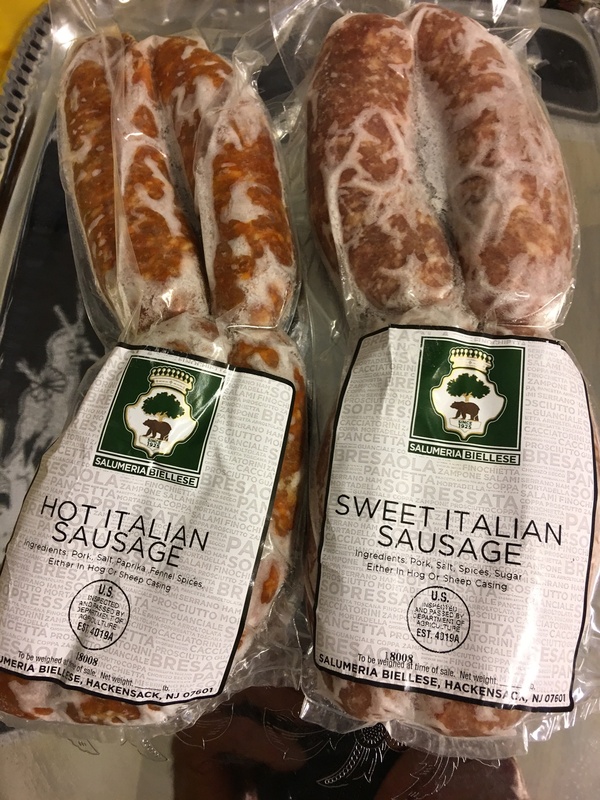 The sausages are packed in one pound packs (3 sweet/1hot). Great browned in a pan or on the grill. Here’s what I love about this product. The tenderloin is lean and tender. 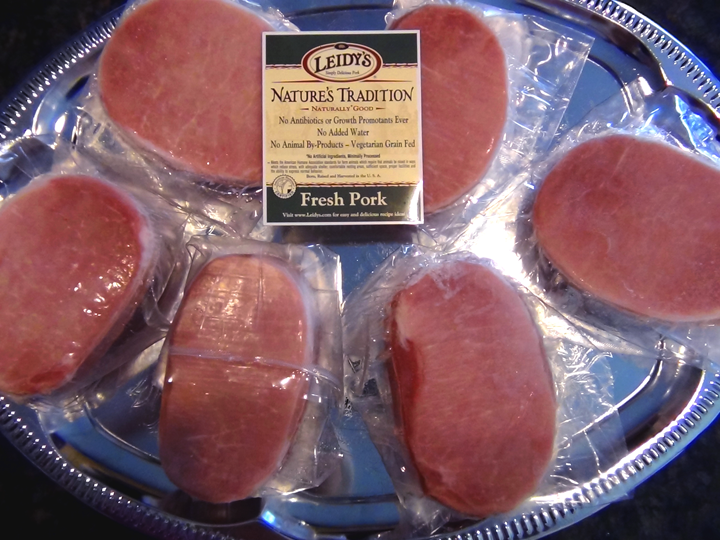 You can cut into little medallions or cook it whole and then slice. Beef Filet Mignon are cut from the Beef tenderloin. Pork Filet Mignon are cut from this the Pork Tenderloin. We have never used a more popular Pork Chop. These monster Chops are a pound each and maintain their moistness and tenderness beyond that of typical Pork products hence the popularity. Sure to impress at any culinary gathering. 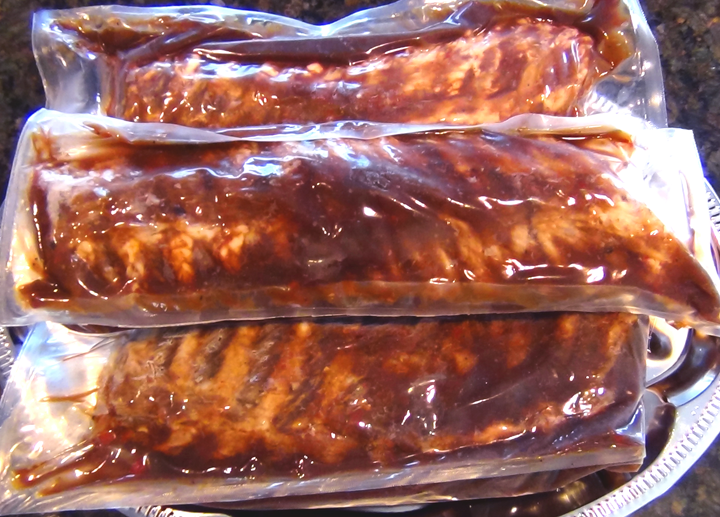 These ribs are crazy good and easy. They are cooked to perfection and simply need to be brought to temperature. Whether on the grill, in the oven, or even in the microwave PLEASE DON’T OVER HEAT. Thaw in the refrigerator overnight or float in cold water for 15 minutes. 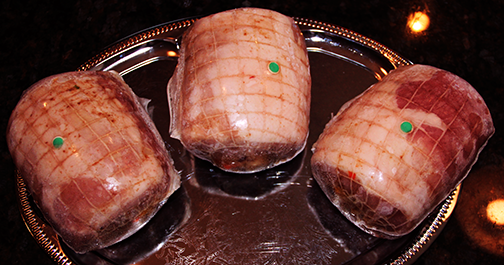 A very traditional rendition of stuffed pork with a vegetable-cranberry stuffing. This is a Center Cut Boneless Pork Chop. 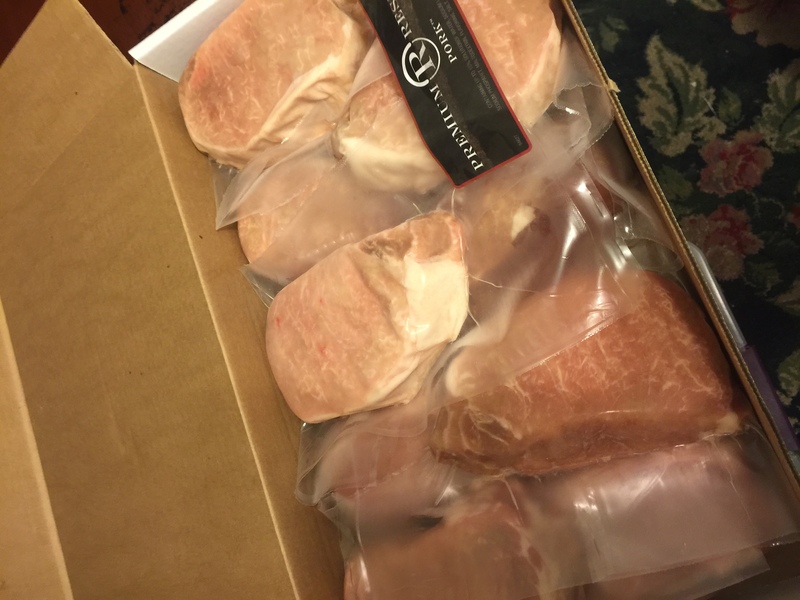 These chops are also Antibiotic Free, All Natural and Certified Humane. 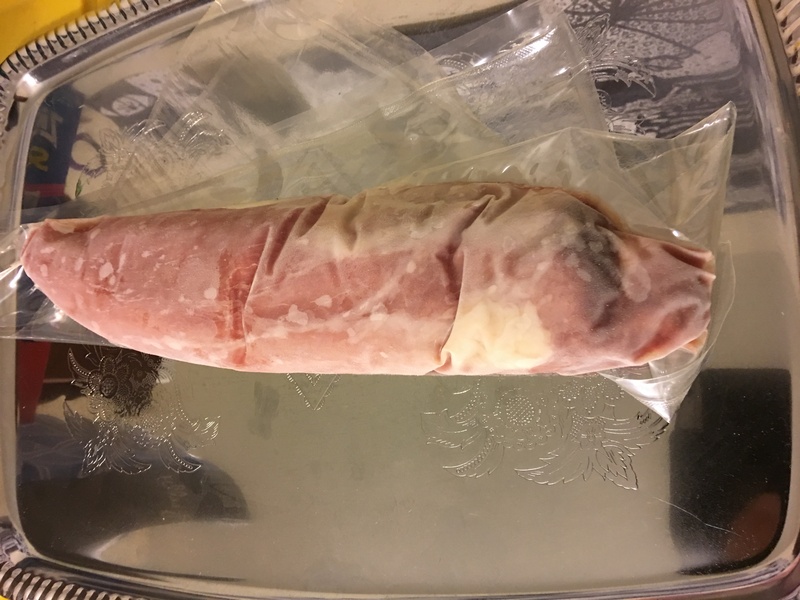 Remember- The Loin of Pork is very lean and should NOT be cooked well done. In fact they should not be cooked beyond medium. Thaw in refrigerator overnight or float in cold water for 15 minutes. Great for the grill or the pan. Don’t forget to season- a little salt and pepper goes a long way.